Having a part-time job as a mystery traveler that gives me once a month opportunity to travel around the Philippines for free and paid has given me so much ways to learn the history of our country. In the past months I have finally visited Dapitan in Dipolog where Jose Rizal our national hero was exiled and where he met the love of his life, Josephine Bracken. 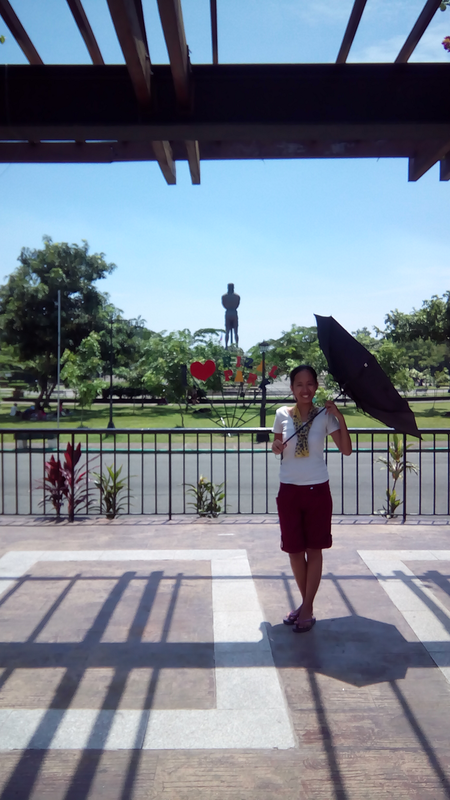 I have also been to a mini – version of Intramuros in Ozamiz called The Fort. After seeing these, the heritage buff within me wanted to “reconnect the pieces back ” here in Manila by visiting Rizal Park, where Jose was shot to death and Intramuros, Manila’s prime location during the Spanish times before I fly to Zamboanga City end of this month. I tagged along my brother and brought my two-month old Cherry Mobile Cubix I bought from Lazada PH. We didn’t like to carry our bulky digicam because we will be walking under the scorching heat of the sun. Also moving forward in my trips, I have decided to shift to mobile photography for practicality sake and of course to follow one of my travel mantras which is to keep everything light. Actually this is not the first time I have used Cubix in my travel, last month I brought a small group for a walking food tour in Binondo, Chinatown with my tour guide and I also used this solely to take photos of my brief gastronomic adventure in Tuguegarao, Cagayan Valley. 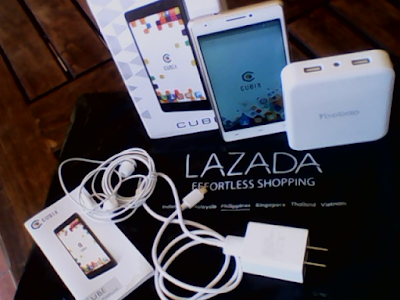 Guess what until now Cubix of Cherry Mobile has not failed my expectations since the day it was delivered by Lazada right in my doorstep. Going to back our photowalk, we had so much fun because the photos we took are very vivid and our selfies are so gorgeous! Not because there’s a lot of photographic scenes inside these but with the help of Cubix we felt like we were pros that time. We even recorded two one-minute or so videos and I am uploading these on Youtube. I am also really planning to incorporate video blogging in my trips using mobile phone so Cubix is a perfect gadget to start withWe took close to a hundred photos I know we’re selfie and photo addicts) for my blog and Instagram. I haven’t bought an external memory card and I have a lot more of pictures so I think I'm close to full but not yet. Also since this is run by Android, it comes with a lot of Google Apps including Google Photos. Whenever I am online, I don’t need to manually save this with Google Photos it automatically backs uP my shots. I also have another oPtion through Drive too and huge convenience so I am saving so much time because of these. 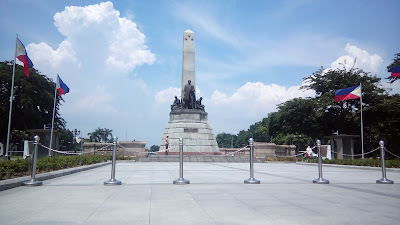 We started after lunch in Rizal Park then come mid-afternoon we headed to Intramuros. We were waiting for the sunset to come but heavy clouds took over so we just decided to go home. We dropped by to Greenbelt in Ayala Ave, Makati to chill out first. We stayed until darkness envelope the environment so we can take photos using Cubix on a night-mode. After non-stop camwhoring, the battery only died when we are in Greenbelt already. Good thing I have my Yoobao powerbank 10400 Mah which was given free by Lazada when I joined their blogger’s event months ago. Since I go online a lot and take photos often, I wanted the screen of my mobile phone wider, this is where Cubix Cherry Mobile comes in. For a traveller like me who is on a tight budget, the cost of Cubix in Lazada for Php4, 490 is definitely a win-win situation. Lazada always has flash sales so who knows you may even buy this for a much discounted price. My tip you download the Lazada app, follow them on Facebook/Twitter/Instagram and sign up for their newsletter so you are always updated. There are only two things that I wish Cubix can do be much better: it has no built in PDX software so you can't open if you receive types of files like this and when you close recordings or music, it will stop too. Other than these, Cubix is perfectly fine for me. If you are a budget-conscious traveler who loves to take photos this was made all for you. I have compared a dozen times Cubix to numerous other mobile phone brands, this is so far the only one that offers the best camera resolution) rear – 13mp and front 5m) for a very affordable price. Now since Cherry Mobile is a local brand I checked Cubix if this is also fit to be used in other countries since I have an out of the country trip I am working on. Its specs says this is a GSM type and very much ready to be my travel buddy and very much reliable to make me connected to the online world and loved ones away from home. Photos look great even in low light condition. Nice!